A pianist from Kyoto Prefecture. Since his debut in 1990, has won of fans of all ages and all musical genres with his soulful voice and groovy piano style influenced by New Orleans piano, R&R, The Blues, Jazz, and more. 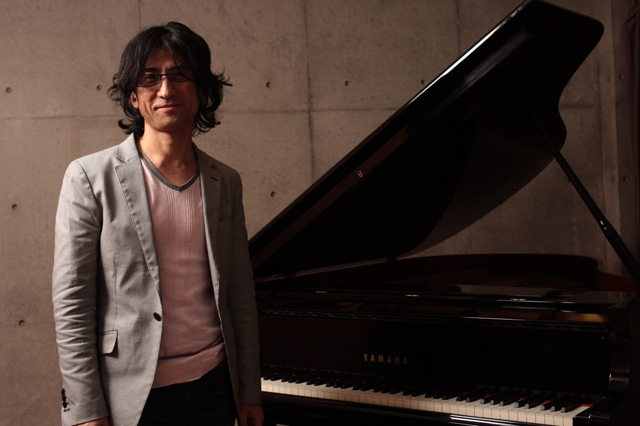 Since 2004, has been the member of CRZY FINGERS, “the world’s most mischievous piano man group”. Has participated in many artists’ tours and recordings and has become to be known as the musicians’ musician. His funky live performances backed up by more than a hundred shows held annually, is a must-see.